This weekend we cleaned up the office space next to the front door and started creating our electronics workspace. We need to get better lighting in the space; would like to create some ventilation for soldering, 3D printing, and laser cutting; and need some better shelving and storage along the wall. But it is a really big step in organization and we thank John S., Joe B., Joshua, Camille, Matt, and Brian for their help! 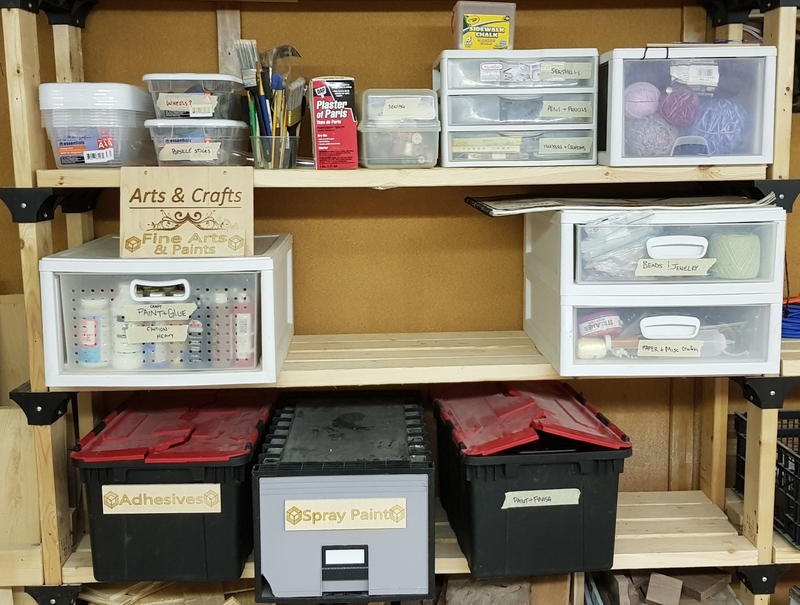 Speaking of organization, thanks to Camille and Lane for their organization of the arts and crafts supplies in the back room. Everything is so much more accessible and useful now! John S. and Brian were on the hunt for wiring, tracing connections and disabling old unused connections. Joshua and Joe are continuing their work on the 3D printers, and are starting to document and create training so anyone can print! We will let everyone know when that is ready.